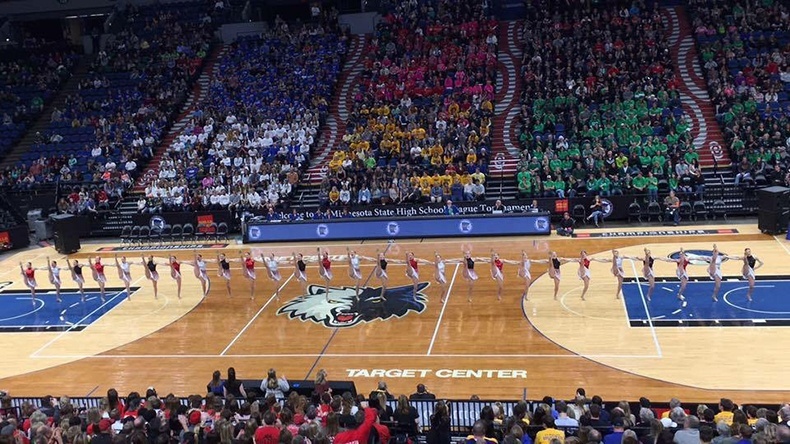 The Lakeville North Lakeliner Dance Team kicked their way to State finals a few weeks ago! 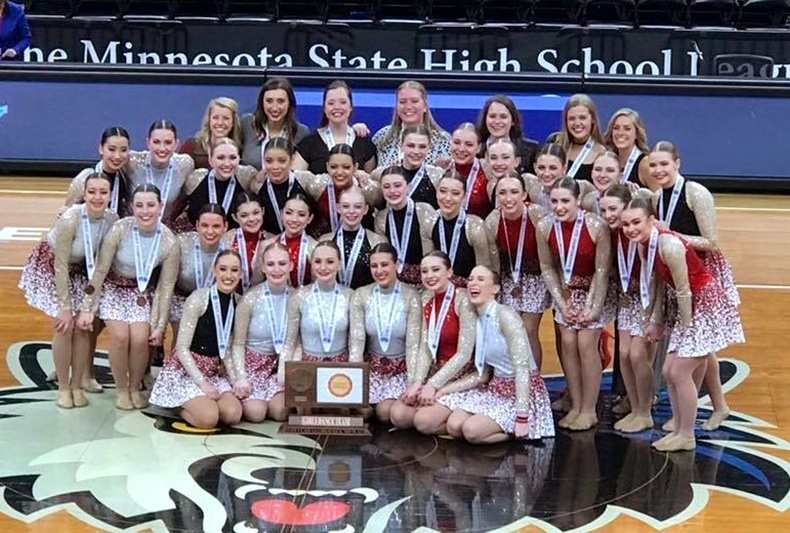 The high school dance team placed 3rd overall at the Minnesota State High School League (MSHSL) State Tournament and received a medal for their school for the first time in 22 years! Their concept was to create the ultimate party playlist in one high kick dance. 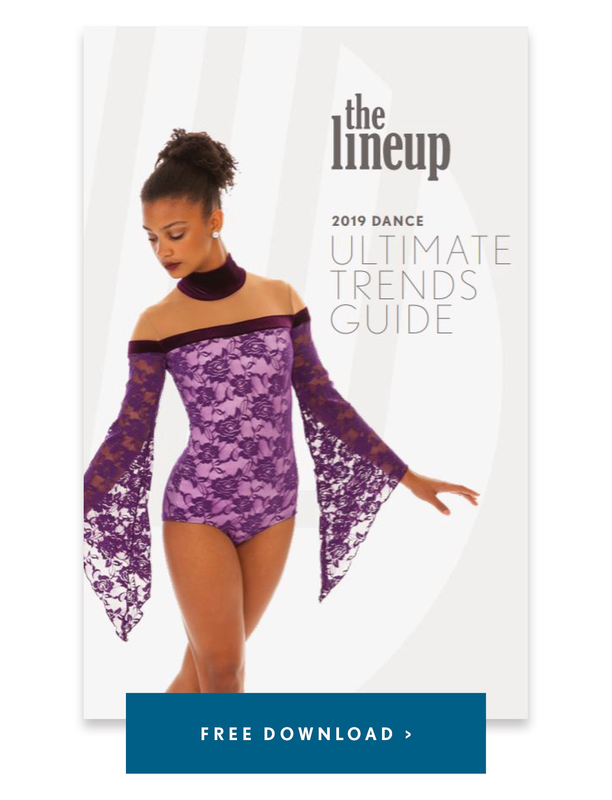 "We wanted the costumes to reflect a party dress," explained Coach Monica Fredrickson about their custom kick costumes. 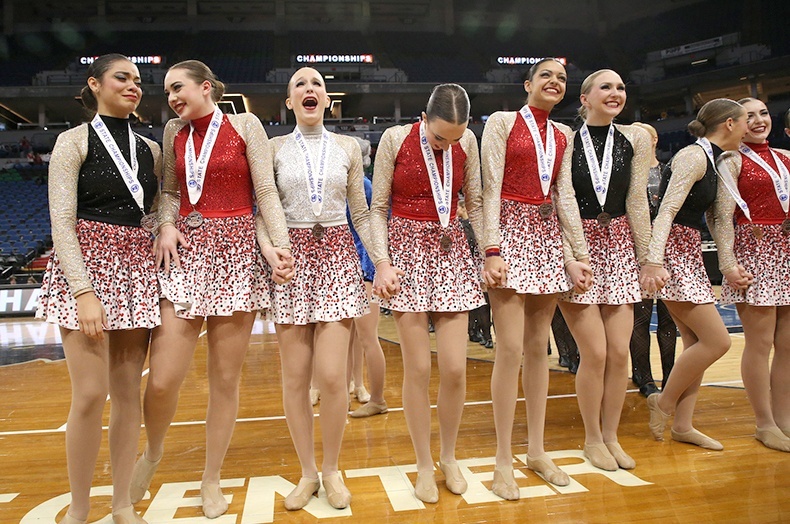 The team used the Confetti Skirt and customized the pattern to match their school colors: black, red and white. Then they pulled those colors to make different colored tops for a bold color changing statement, enhancing the precision of their formation changes. We loved how the costume coordinated with their choreography! Check out more Q&A and video of their performance below! What was your competition music? Our competition music was a mix of about 18 different songs. "We're Here to Party" was the theme. There are many things that make our team unique, but 2 of my favorites is that each dancer eats 1-2 Starbursts before taking the floor to compete - for our burst of energy. #2 - We do a daily quote and one dancer is recognized each day for their hard work. We hit a bump in the road in January this season, we had one of our dancers get injured during practice and she was out for the rest of the season. Dance Teams work so hard to build trust among the teammates and everyone is so important. We had to re-build trust when the alternates went into those spots. In the long run, it made our team so much stronger because they knew they had adversity to over-come and they did! What is your favorite memory of the season? My favorite memory from this season has to be that the team placed 3rd in the State for High Kick. It has been 22 years since the Lake Liners have placed at the State Tournament.